If you are looking for information on the MixStirs franchise business opportunity, MixStir franchises or MixStirs franchising, then you have come to the right place. MixStirs was designed for the "Active Lifestyle on the Go". 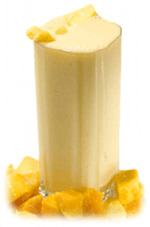 Our "Stirs" as we like to call them, are made from real fruit and juice with no sugar added. We have a wide variety ranging from the "Classic and Fruit Stirs" to the "Vitamin Powered Stirs" to the "Create Your Own Protein Power Stirs". We have fruits from California and fruits from Brazil like the Acai Berry which has more than twice the antioxidants of blueberries and more than 30 times that of red wine. Our locations are primarily located in Health Clubs and Fitness Centers; however, we do have full service locations as well. We grant individual franchises as well as multi-unit franchises. Area development opportunities are available for qualified individuals. What Types of Locations Are Suitable For a MixStirs? 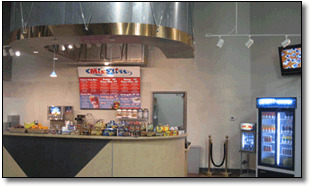 MixStirs can be built in a wide variety of space configurations. Typically, locations with 400 to 800 square feet will be ideally suited for a MixStirs. Our ideal locations are in captured audience venues such as fitness centers, kiosks, malls, transportation centers and sporting venues. Our MixStirs Operations Department will provide you with complete and comprehensive training to enable you to operate your store and train others to assist you. MixStirs provides extensive pre-opening and opening training to run your business effectively. Training in Operations, Marketing and Management of your business. "Mock" training at one of our training locations. 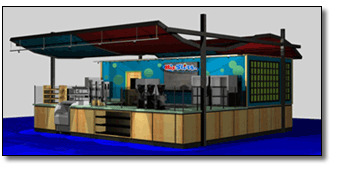 "Hands-On" training at your MixStirs during both pre-opening and opening time periods. We have an extensive network of brokers available to help find a location. We have a number of sites currently available as turnkey. We also provide direction and training on site analysis, including obtaining demographic information, traffic information, and visibility criteria.